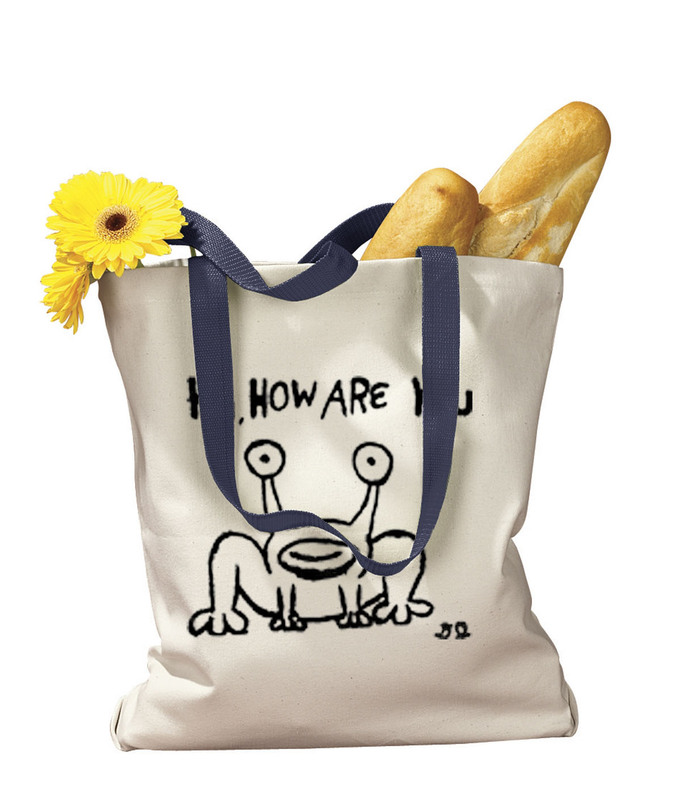 100% 12 oz weight cotton canvas tote with contrasting BLACK handles and Daniel's Hi How Are You MURAL image. 100% cotton 12 oz canvas tote with contrasting BLACK handles and Daniel's Hi How Are You MURAL image. This bag is a HEAVY (12 oz weight canvas) for those who want their tote to last longer. 11 x 14 x 3 inches.